Every slot enthusiast enjoys an exciting adventure set in a mysterious jungle with a treasure at the end of it. 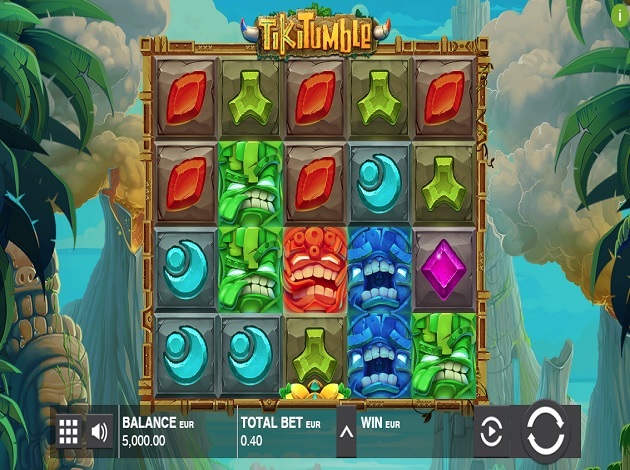 Tiki Tumble is a video slot game that has been designed by Push Gaming with a Polynesian theme in mind. Consisting of an interesting 5x4 reel that is spread across 20 winning paylines, the game includes numerous cool features. Players are in for a real treat with Tiki Tumble, with stacked wilds, nudging wilds, as well as a free spins round to make the possibility of landing real money prizes even higher. Players can also enjoy Tiki Tumble on a number of platforms including mobile devices. As players make their way through the colourful face masks and runes that this game is centred around, they will come across quite an interesting mix of features. The first of these is the Nudging Wilds feature, which is triggered when one or more Wild Symbols appears in any of the 3 rows at the top of any reel. These reels will then nudge down by one symbol position, and all the other reels will subsequently spin increasing the chances of landing winning combinations. The Nudging Wild Feature can be triggered in both the base game and in the free spins game. Tiki Tumble also comes along with a Free Spins Feature, which becomes activated once a player manages to land 3 or more golden mask scatter symbols during the same spin. The number of scatter symbols will also determine the multiplier of the free spins, with 3 scatters giving a 1x multiplier, 4 scatter symbols giving a 2x multiplier, and 5 scatter symbols dishing out a whopping 3x multiplier. When the Free Spins feature round beings, the second and fourth reels become filled with Wild Symbols. Multipliers come into play here, where they increase each time the player triggers the Nudging Wilds feature. The Free Spins bonus round will continue to be in play until all the wilds have dropped off the reels. Players have a great choice of wagering options with Tiki Tumble, with bets starting as low as 0.20 per spin and going up as high as € 100 per spin. The game includes 4 lower value runes like gemstone symbols and 4 higher value coloured mask icons. The pink mask symbol has the best payout from the symbols available, where it provides players with 20 times the initial stake placed when 5 of the same symbol are landed. This is followed by the orange mask with 15 times the initial stake, the green mask with 10 times the initial stake, and the blue mask with 5 times the original bet. From the lower paying gemstone symbols, the pink and red symbols dish out 2.5 times the initial stake, followed by the green and blue symbols with 2 times the original stake. Lastly, there is also the possibility of netting an incredible 25 times the original stake if players manage to land 5 Wild mask symbols in one spin. Tiki Tumble has been designed with great attention to detail, boasting nice graphics and sounds. Players are greeted with a backdrop consisting of billowing volcanoes, vine-covered stone statues, and some tropical trees, giving this game an adventure feel to it. Symbols chosen include masks and rune-like gemstones, which perfectly complement this slot’s theme. Mask symbols become animated when a winning payline is landed, giving the game more life to it. The background music gives this Polynesian Themed game a wild feel to it, with tropical birds, beating drums, and the sounds that one would associate with a secretive tribe living deep in the jungle. Overall, Tiki Tumble is a great addition to Push Gaming’s repertoire. The theme is really exciting and mysterious, and the game is designed with stunning graphics and sounds that will keep you entertained throughout. Additionally, Tiki Tumble has a relatively high RTP set at 96.49%. Taking also into account the great choices of bonus feature rounds that this game includes, such as Nudging Wilds and Free Spins, players will surely end up getting some decent wins. There is also the possibility of winning over 1,250 times the total stake from a single spin with a 6x multiplier, so we cannot complain about this game’s payouts! Push Gaming is the only company to specialise solely in the integration and distribution of land-based games to the online and mobile markets. Many other companies focus on this as well, but Push Gaming really sets their hearts and minds to this, the whole concept is mobile gambling. 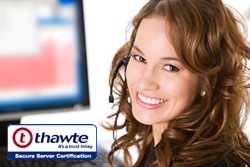 Push Gaming has over 10 years’ experience in developing and deploying games online. Push Gaming specialises in porting casino games onto online and mobile platforms, covering: Slot Machines (pokies, fruit machines), Table Games (roulette, card games, craps, baccarat), Video Poker and Scratch Cards. To reach its success in every project, Push Gaming has hired experienced game developers, coupled with network and knowledge of the sector. The company was set up by industry professionals like Winston Lee, and others who have experience from big names such as NextGen Gaming, Amaya Gaming, IGT and Scientific Games. Winston Lee, who is also co-Founder of Push Gaming has over 10 years of experience in games design and development. He has led teams in the production of games for online deployment. These top-notch talented teams are behind every Push Gaming slot you see on our website, and you will see more of their products in the near future.